Generally speaking, we here at TOV, like our tech with a bit style and a heaping portion of functionality. And with all this tech coverage that goes on around here, you may have wondered how we keep up with all this work. Well fellow TOV'ers the answer is a surprisingly slick piece of food tech from a company called SodaStream USA. You may have heard of them, depending on your age, but in case you haven't, we'll give you a quick break of what they make. 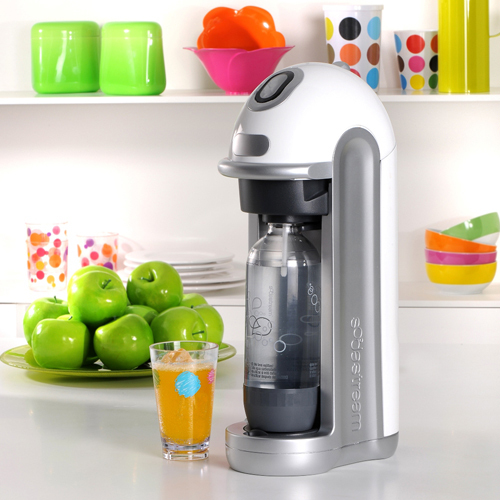 SodaStream USA makes soda makers; at home devices that can sit on your countertop and allow you to make soda at home. It sounds a bit like a late night infomercial but trust me, it's legit. So the system consists of the soda maker unit, a "Carbonator" tank, at least one reusable bottle and some soda flavor syrup. The idea is that you fill up a reusable bottle with water, place it in the soda maker, carbonate the water, and then fill it with as much or as little syrup as you want to create your own soda. A soda maker does all this without the need to draw electricity from anywhere. Its sounds simple on paper and was just as simple in practice. The soda maker unit I was sent for review was the Fizz, aptly named because of the fizz chip located on the top front. The fizz chip basically is a meter that reads the supposed level of CO2 in the tank and how carbonated your bottle is as you fill it. We'll get to the supposed part in a minute. The Fizz is brightly colored, ours being green since it is for TOV, and comes in a few other colors such as blue, red, and white. The design is fairly straight forward and makes for easy usage. The Carbonator tank goes in the back, under a cover, while up front is the removable Fizz chip, carbonation lever, and a port with nozzle to screw in your bottle with water. There is a sliding lever on the very top which is to tilt the entire bottle port back, making installing a removing a bottle a breeze. The Fizz chip comes on whenever the top slider is moved. Bottles for the soda maker come in 2 sizes - 1 liter and .5 liter. The full liter makes sense as you can get a few glasses out of it before making another batch. The half liter puzzled me at first because I was perplexed as to what I could use it for. It was too small to serve more than one person and I wasn't sure if making such a small amount of soda was going to be worth the trouble. Then I figured that it was the perfect size to travel with and made a great lunch companion. Instead of buying a soda with lunch, I could just make sure to have our mini soda bottle with me. And in case you're wondering or you're about to Google it, the ounce measurement for the 1 liter is 33.2 ounces. You can do the math for a half liter. The "Carbonator" carbonation tank comes in 2 sizes as well. A skinny 60L tank comes with every soda maker unit and some are compatible with a larger 130L tanks. Even though the tanks have actual ounce measurements on them, I found that SodaStream USA and most merchants go by these 2 numbers for their names as it refers to the approximate amount of liters each tank can carbonate. Not all soda maker units can fit a 130L tank, so make sure you read that on the box before you buy. My Fizz happily took a 130L after I killed the 60L tank. You can't have soda without out the syrup and SodaStream provides plenty of options for you to choose from. I haven't even scratched the surface of the amount of flavors available. However here's what I have tried so far though: Diet Lemon-Lime (Diet Sprite), Natural Black Currant & Pear, Cola Zero (Coke Zero), Natural Cola (Throw-Back Pepsi), Energy (Red Bull), Pomegranate Green Tea, and Diet Dr. Pete (Diet Dr. Pepper); this is maybe a quarter of the flavors that are available. The mixes, as they're called, come as one of 2 varieties - either as a normal mix or "Natural". The distinction is made between the mixes that use Sucralose (regular mixes) or the natural ones that use real sugar. None of the mixes use high fructose corn syrup. The non diet mixes do have carbohydrates in them, but the count is no where near what an average soda would have. Each bottle of mix can make 12 liters, which is a lot more than it sounds, unless it's a Natural mix, which can only make 6 liters. I would have like to have seen the natural flavor mixes able to make the same amount of soda as their non-naturally sweeten cousins. All of the flavors I made tasted pretty legit. If there was a brand name counterpart, it was hard to tell the difference between the two. Surprisingly enough, even though so many of the mixes are made with Sucralose, unless it said "diet" on the front, it didn't' taste like diet. Props to SodaStream for that because worried was an understatement when I noticed that. 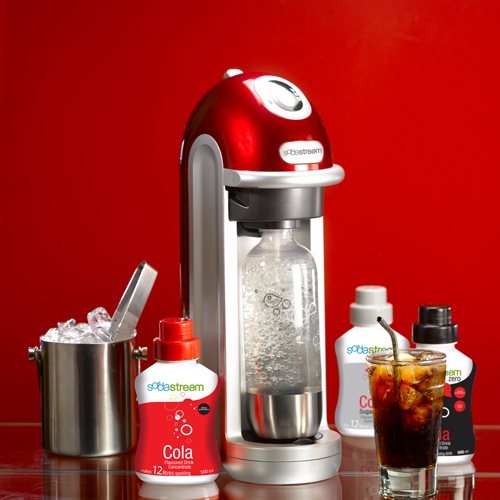 Making soda was as easy as SodaStream says it is. All I had to do was put water in one of the bottles, carbonate it, then add mix and enjoy. I will say that the actual process of making soda, while very easy and mess free, it is loud. It's not so much the sound of the CO2 being forced into the bottle that's loud, as it the sound of when a bottle is full and makes this very loud almost machine gun sound. This is certainly not the kitchen device to use while your special person/roomie is asleep. There was only one caveat that I came across during testing and that was the Fizz chip. Like I said earlier, the Fizz Chip gives you a reading of current level of CO2 in the tank. Unfortunately, it didn't work as promised and left me scratching my head when the Carbonator suddenly stopped working. I think I was able to get about 45 liters out of my 60L tank. I was hoping to break 100 with the 130L. Also what didn't work until the carbonation level of the tank started to drop was the fizz indicator on the Fizz Chip. Basically, it's a little arrow that points to 1 of 3 pictures to let you know how much fizz your batch will have. The arrow never showed up for me, at least while the tank reading was maxed out. This was much less of a concern, as I have no interest in flat, barely carbonated soda. If I were really after flat soda, I would just drink water. So this all sounds good, but by now I'm sure you're wondering how much is this thing going to cost? After all, what would be the point in having it if it were ridiculously overpriced? Well, the Fizz is $150 and comes with a 60L Carbonator tank and a single 1L bottle. This is definitely at the higher end of their pricing spectrum for soda makers, as the entry model, the Jet, goes for about $80 and their top model, whose name escapes me right now, goes for about $200. Tanks can be purchased new for $30 and $50 for the 60L and 130L respectively. However, what's nice is that you can trade in your empty tanks and get refilled ones instead of having to buy new ones, which is much cheaper. It's like trading in propane tanks for your grill. I took my empty 60L and picked up a refilled 130L for only $32. I asked the woman that helped me how much a refilled 60L would have been with the trade instead of the 130L and she said just under $17. Not too bad. Mixes range in price from $5 to $10, with the natural flavors being in the $10 side while regulars at the $5 end. Diet flavors are somewhere in the middle, roughly $7-$8. 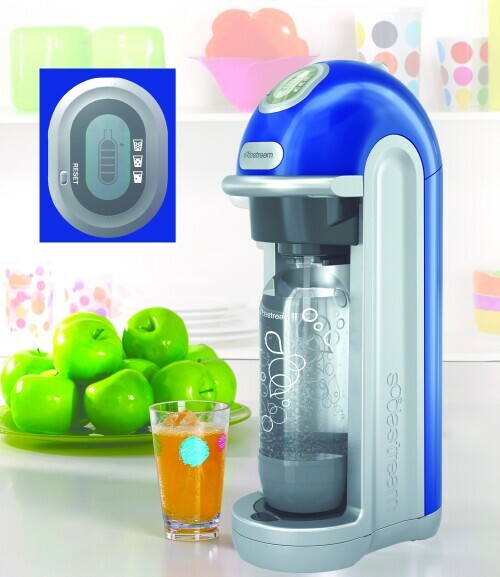 SodaStream USA has made a great product in the Fizz and it's other soda makers. They're relatively small in terms of footprint, they're easy to maintain, and they're super convenient. Just like SodaStream says, "No more lugging and storing cases of can soda or heavy bottles." It's truly pretty awesome and comes in four colors - green, blue, red, and black. 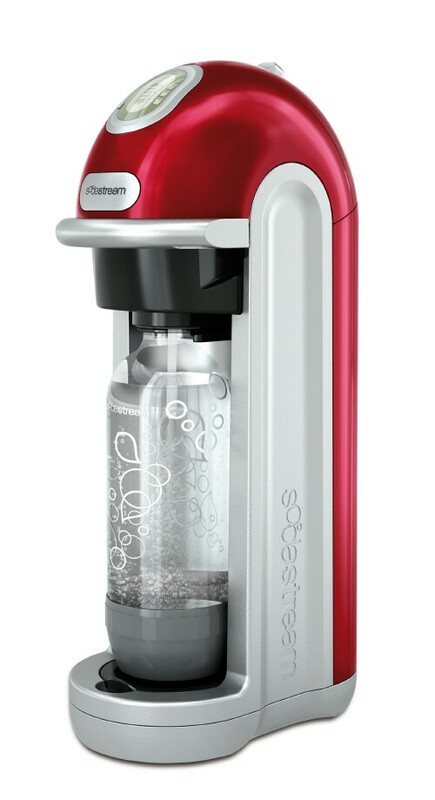 SodaStream USA's Fizz soda maker and the whole system get 4.5 out of 5 TOV stars.